Last week, NEC hosted their annual Showcase event at the Victoria House in London and ADXBA were delighted to be amongst 34 other solution providers, each presenting technologies of the future! 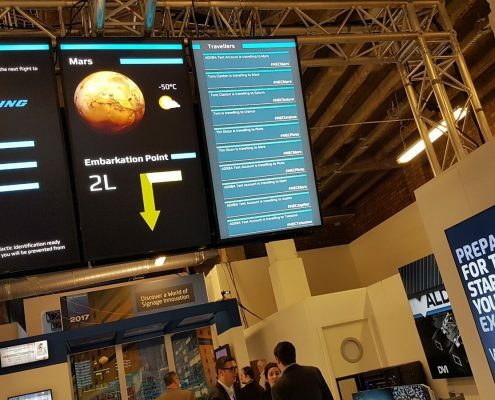 The showcase, which is a collaboration between NEC and their solutions partners, is a must-attend event for anyone looking to gain an insight into the latest display technologies available. 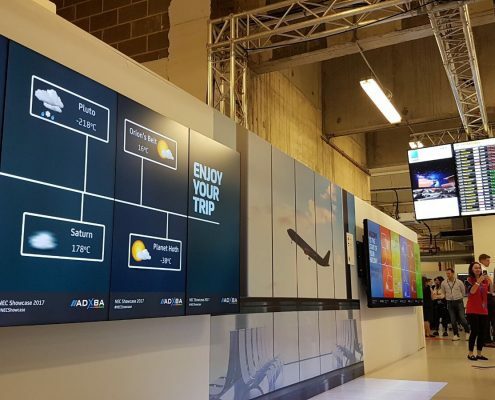 With all solutions being presented as they would in real-life environments, the showcase is also the perfect place to gain some inspiration for any upcoming AV installations. 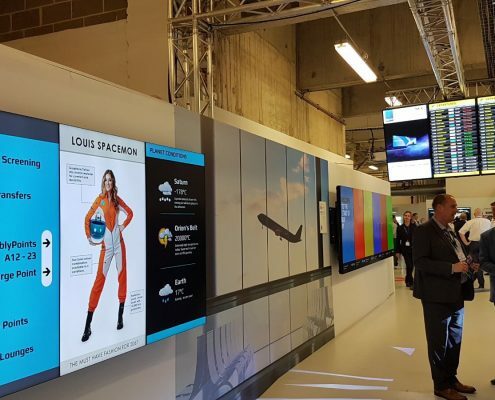 As the chosen digital signage provider for many of the UK’s leading airports, we could be found in the Transport Zone presenting our latest display solutions for enriching the passenger experience. 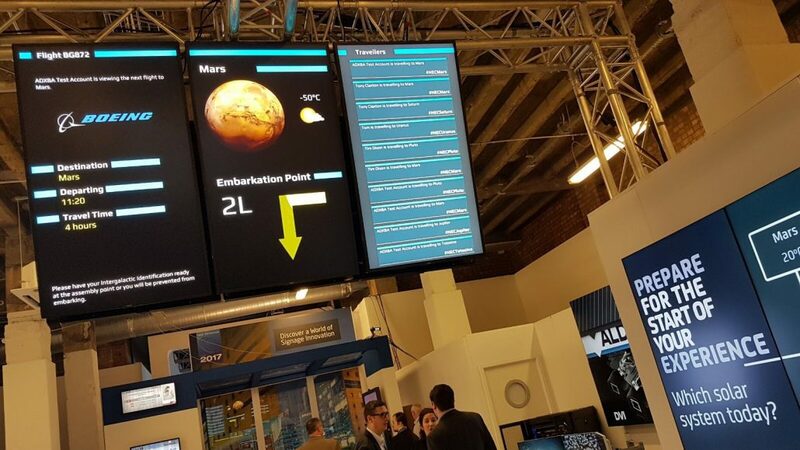 These included our live flight information displays, directional signage, as well as our impressive Twitter enabled content, helping to keep display content fresh, engaging and interactive. Just in case you missed our first-hand solution demonstrations, here’s a preview of our showcase!